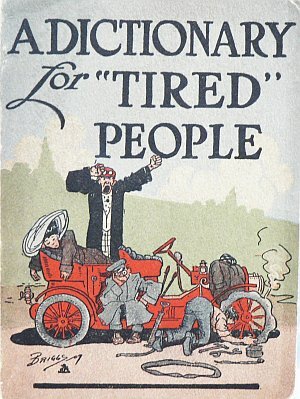 A Dictionary for Tired People. New York: Rogers and Company, 1903. Includes a postcard to be sent to Goodyear for other publications of interest. The perfect gift for any one interested in antique cars. 5 ¼ x 3 ¼ inches, overall. Excellent condition save minor scuffing along spine edge.